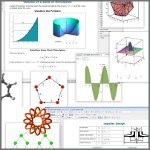 Maplesoft has just announced a major new release of its flagship product, Maple, the mathematical software that makes it extremely easy to analyze, explore, visualize, and solve math problems. Maple 2019 includes substantial improvements to its mathematical engine, for both core routines and specialized tools. The release also provides advances to the Maple programming language, more education tools, new visualizations, and other improvements for the mathematicians, educators, students, engineers, and scientists who use Maple. The Xometry Add-In for SOLIDWORKS v4.0 is a powerful tool that integrates directly with Xometry's Instant Quoting Engine, allowing engineers to simultaneously design parts and weigh considerations of cost and lead time in a single CAD environment. Machine learning algorithms give you an instant price by analyzing the part's geometry and factor in manufacturing requirements such as the process, material, features, finish, and inspection type. Then, the add-in provides lead time, cost, and manufacturability (DFM) feedback in seconds. 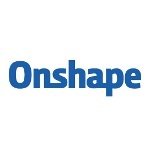 Includes CNC machining, 3D printing, sheet metal, urethane castings, and other manufacturing methods. For those of you who have used Weldments for frame design and extrusions in SOLID-WORKS, you're probably aware of how easy they are to work with and create. However, you may not be aware that there are literally thousands of profiles that you can download for free directly in the software. John Hall from TriMech runs through what you need to know. Supporting the Direct Energy Deposition method, Edgecam now offers a dedicated manufacturing cycle that accurately guides a laser as it deposits material to form a shape. 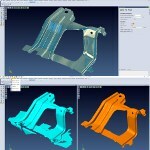 After that, the shape is machined using Edgecam's milling cycles to create the final component. As Edgecam 2019 R1 now offers full ToolStore support for Additive Manufacturing, shapes can be built using almost any milling cycle, including advanced functions such as rotary and 5-axis simultaneous machining. 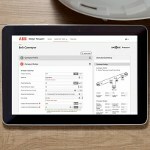 ABB's new web-based Dodge Passport design tool allows users to select, quote, and order conveyor pulley assemblies complete with shafting and mounted bearings for bulk material-handling applications. Real-time pricing and availability enable customers to make cost-effective selections of readily available components. After selections are complete, Passport's add-to-order capability lets customers seamlessly convert selections into orders via the PT Place e-commerce platform. 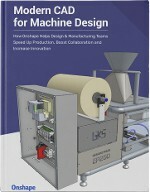 In Onshape's latest eBook, "Modern CAD For Machine Design," you'll be introduced to five machinery companies that recently modernized their entire design and manufacturing process with one key decision: switching to a modern, cloud-based CAD system, enabling their design teams to cast aside old software headaches and focus on doing their best work. You'll read insights from: GKS Packaging (Vertical Form, Fill and Seal Machines), Universal Logic (Artificial Intelligence/Robotics), Voxel Innovations (Pulsed Electrochemical Machining), Hirebotics (Robotics), and Absolute Machinery (Injection Molding). One thing at the forefront of most company thinking is how to beat the competition. One way to do this is to create smart products, but that leads to the question, "How?" One possible answer: mechatronics! The name is a combination of mechanics and electronics, however, the discipline includes much more than just the two. Keep reading to discover all about this technology and how it can help you take the lead on your competitors. Read the TriMech Solutions blog. 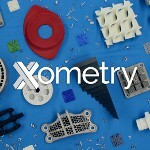 Xometry, one of the country's largest on-demand manufacturing platforms, has launched an Autodesk Inventor add-in that enables Inventor users to get a quote from Xometry without leaving the Inventor design workspace. The add-in makes it simple for Autodesk Inventor users to turn their designs into prototypes and production products. It gives users easy access to Xometry's industry-leading pricing, design feedback, and lead-time information directly in the Inventor environment. Choose from a wide range of processes, including 3D Printing, Sheet Metal, CNC Machining, and Urethane Casting with over 200 materials. 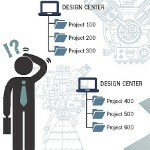 An add-in for SOLIDWORKS is also available. DriveWare is ADVANCED Motion Controls' no-cost software tool that allows users to set drive limits, tune the control loops, configure various types of feedback, auto-commutate, analyze signals over a built-in multi-channel oscilloscope, and more. Because of its powerful capabilities and user-friendly interface, DriveWare is the best way to commission and configure the company's DigiFlex Performance series drives. The biggest update to DriveWare 7.4.2 is the expanded support for stepper motors -- making it easy to configure closed-loop steppers while streamlined algorithms make autocommutation 75% faster. DigiFlex Performance servo drives can operate two-phase and three-phase steppers in addition to rotary and linear permanent magnet, brushed, and brushless servo motors. 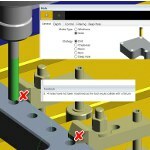 The latest release of VISI from Vero Software includes a new module for reverse engineering, along with new and enhanced functionality for both CAD and CAM processes, specifically designed for the mold and die market. It allows a point cloud to be loaded either from a Hexagon Romer Absolute Arm or an external file and generates the desired, optimized mesh with special tools. This mesh can then be used as the starting point to create the relative surfaces through the modeling function or used as it is for machining purposes. ANSYS Discovery Live will empower millions of engineers around the world to confidently simulate designs in real time quickly and more economically. "We had the opportunity to preview ANSYS Discovery Live, and it's obvious this technology is a game changer in providing instantaneous simulation to enable interactive design exploration," said Craig Skinner, chief aerodynamicist, Aston Martin Red Bull Racing. Ships keep the global economy moving. Whether they are ultra-large crude carriers transporting oil from the Middle East, container vessels transferring manufactured goods from Asia, or car carriers shifting vehicles from factories in Europe, the global maritime industry moves around 32 trillion ton-miles of cargo every year, four times more than it did at the end of the 1960s. To deliver this dramatic increase in cargo, the industry has had to change drastically over the past few decades. Vessels have become larger and more efficient as shipping companies work strenuously to keep costs down in the face of rising and ever-more-volatile fuel costs. For marine engineers, that means constant pressure to refine the performance and reliability of vessels and their systems. Nowhere is that pressure felt more acutely than in the most fundamental component of any modern powered vessel: its propellers. MAN Diesel & Turbo, headquartered in Germany, is at the forefront of the quest for improved performance in marine propulsion systems. 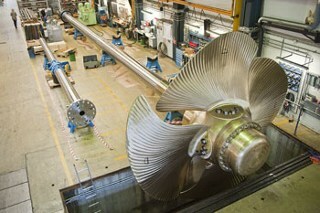 MAN designs and builds marine propulsion systems from 4 MW to 40 MW in size, with controllable pitch propellers (CPP) of up to 11 m in diameter and even larger for fixed-pitch propellers. The technical computing software, Maple, from Maplesoft is playing an important role in keeping the propellers efficient and dependable, thus keeping costs down. In cooperation with Rudolf Diesel, considered the father of the diesel engine, MAN produced the first diesel engine in 1897. The company has been manufacturing propellers for ships since 1902 and has designed, manufactured, and supported more than 7,000 propeller plants. Modern controllable-pitch propellers, like the MAN Alpha CPP range, improve the efficiency and maneuverability of marine vessels. In propellers of this design, the angle of the blades is controllable, always providing the optimal match between the speed of the engine and the ship, thereby maximizing propulsive efficiency and permitting precise control of the vessel's speed. This is important when maneuvering into a port, for example. The blades can even be set to provide reverse thrust, which eliminates the need to install a separate reversing gear or use a reversible engine. Mads Hvoldal is a mechanical engineer at the MAN Diesel & Turbo Propulsion Competence Center division in Frederikshavn, Denmark. He works for the team that designs the mechanical and hydraulic control systems used to vary propeller pitch. "We produce a range of standard designs, but it is the nature of the industry that many propulsion systems are engineered for specific vessels," he says. During peaks in demand for new vessels, development of hundreds of different designs per year is common. They need a software system that is robust and flexible. "We start with the basic specifications, the available hydraulic oil pressure, the size of the propeller itself, and the rate at which we need the blades to change pitch," says Hvoldal. "We use those parameters to calculate the required sizes of components, both for standard parts like bolts and flanges and for the engineered components used in the system. We then pass those dimensions to our Pro/Engineer 3D modelling system for detailed design." The part-sizing calculations are complex, taking into account the characteristics of the hydraulic control system and the properties of the materials used to make the final parts. They are also critical: transmissions need to perform well and operate reliably over long service lives in tough marine conditions. Shipping is also an intensively cost-competitive business, so over-sizing or over-engineering parts is not an option. After careful consideration, they chose Maple to help them in this complex design process. They also chose Maple for its speed and accuracy. "We started using Maple for our design calculations, replacing another mathematical software package," explains Hvoldal. "The other system required us to transpose all the relevant equations from their original format into its own language before we ran the calculations. It was a time-consuming process to write the translations by hand and then to check them. "I had quite a lot of experience using Maple in hydraulic systems design in a previous role," Hvoldal says, "so I could see its potential benefits in our current work." The critical advantage of Maple, says Hvoldal, is that the engineers can put the design equations in their original form right into the system. "That makes Maple faster to use, with reduced need to check and debug the code." 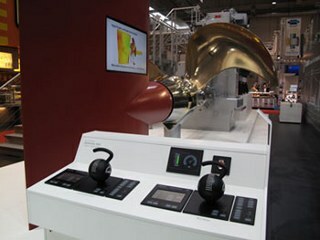 MAN Diesel & Turbo, Propulsion Competence Center, Frederikshavn, has been using Maple for around six months, and the power, speed, and efficiency of the system has convinced its engineers that there is potential to expand their use considerably in the future. "So far, Maple has replaced our previous system for design calculations," says Hvoldal. 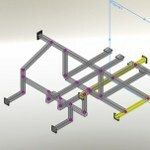 "But we are now exploring the feasibility of building standard models to simplify and automate the process further, and of automating the links between our initial calculations and the detailed part models in the 3D CAD system."